We were having a BBQ with some new friends and the girls decided to try making pina coladas to drink. It may have been chilly day, but at least drinking a pina colada makes you feel like you’re on vacation! 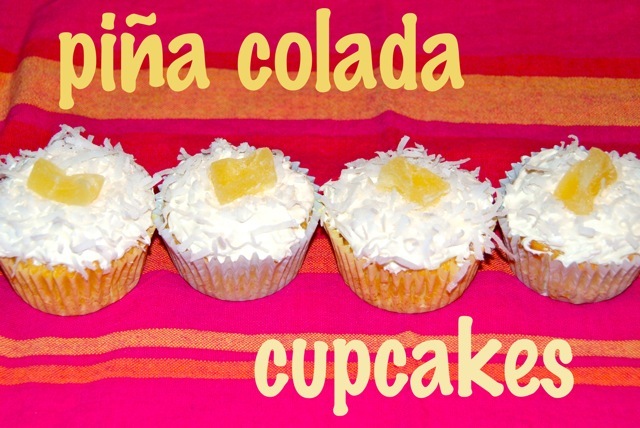 I was trying to decide what to make for dessert, and since I had pina coladas on the brain, these are what I ended up with! These cakes could not be easier. No baking skills required. Just 2 little ingredients. Despite the fact that there wasn’t any oil or eggs in the cake, it was deliciously moist. 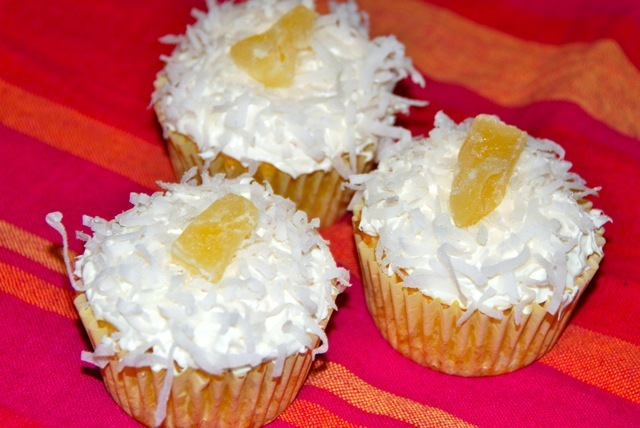 These were possibly the best boxed cupcakes I have ever made. And I’ve made a lot of boxed cupcakes. 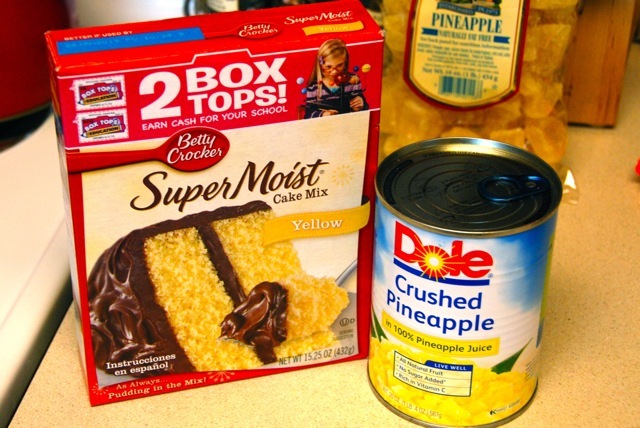 In a bowl, mix cake mix and pineapple (with juice) until well combined. 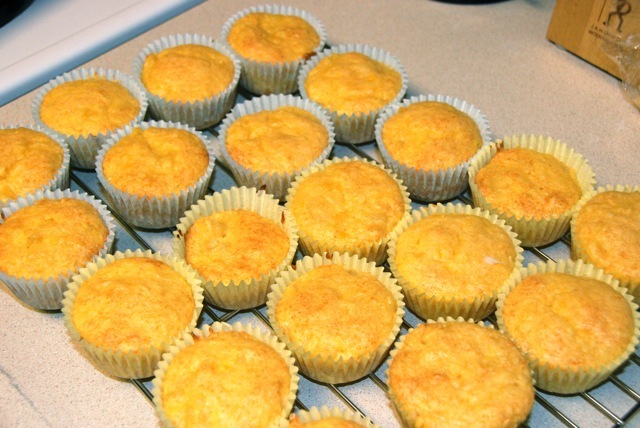 Spoon into muffin tins and bake according to package directions. Cool completely. 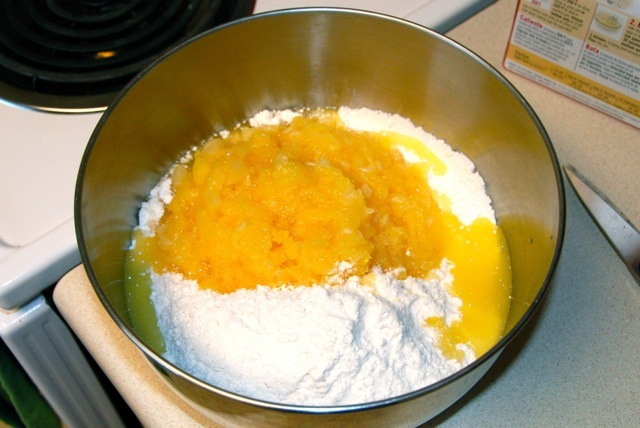 Using an electric mixer, mix frosting, vanilla extract and 1/2 cup coconut. 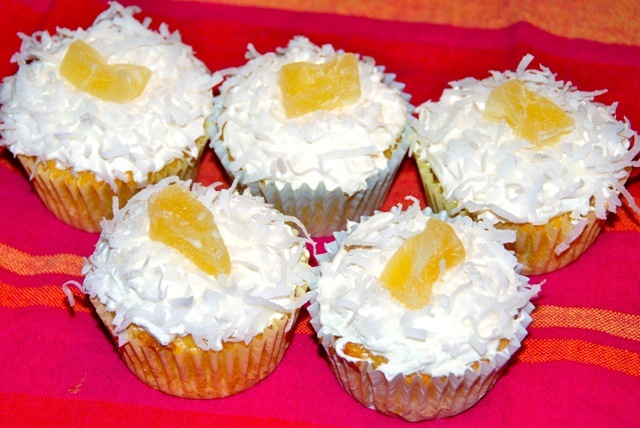 Frost cupcakes, then dip tops in remaining coconut. Decorate with a piece of dried pineapple. Both the cupcakes AND the drinks were big hits!